A mega shark tooth discovery led to an even bigger discovery. Anyone can contribute to science, even an arts and humanities school teacher like Philip Mullaly. The fossil enthusiast discovered an incredible set of fossilised teeth from a prehistoric mega shark. The find was made in Jan Juc, a renowned fossil site along Victoria’s Surf Coast. The teeth, some up to seven centimetres long, were identified as belonging to the Great Jagged Narrow-Toothed Shark (Carcharocles angustidens). The mega shark could grow to more than nine metres long, almost twice that of the modern day Great White Shark. This prehistoric predator reigned approximately 25 million years ago, during the late Oligocene. Stalking the coastline, it would have fed on small whales. Walking along the beach one day, Philip noticed a glint in a boulder on the rocky Jan Juc coastline. Digging it out, he was “absolutely ecstatic” about his find. But the story doesn’t end there. A week or later, he went back to the boulder and was surprised to find another tooth, “just as perfect as the first”. Over the following year, at low tides, he returned to find more teeth. He soon realised that they were all possibly from the same animal. He contacted Dr Erich Fitzgerald, Senior Curator of Vertebrate Palaeontology at Museums Victoria, to inspect the teeth and the boulder site. “These teeth are of international significance, as they represent one of just three associated groupings [sets] of Carcharocles angustidens teeth in the world, and the very first set to ever be discovered in Australia,” Dr Fitzgerald explains. Shark teeth sets are rare because sharks have the ability to regrow teeth, so they’re constantly losing them. Cartilage, the materia a shark skeleton is made up of, does not readily fossilise. Once Dr Fitzgerald realised that there might be even more teeth embedded in the boulder at Jan Juc, he led a team of Museum Victoria palaeontologists, volunteers, associates and Philip on two expeditions to excavate the site. They found 45 teeth in total. 33 were identified as belonging to Carcharocles angustidens, however, the remaining 12 were much smaller. They belonged the Sixgill Shark (Hexanchus), a small shark that still lives off the Victorian coast today. 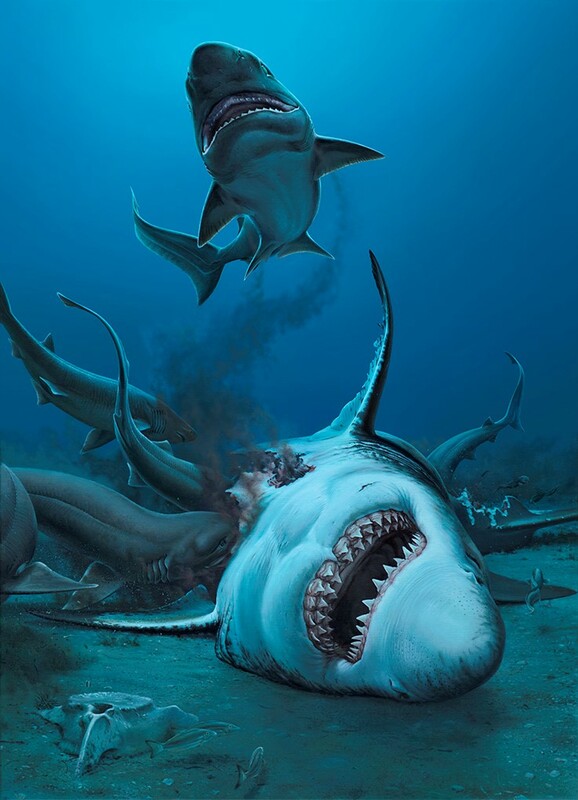 Museums Victoria palaeontologist Tim Ziegler deduced that the smaller teeth came from several Sixgill sharks as they fed on the carcass of the Carcharocles angustidens after it died. The stench of blood and decaying flesh attracting other scavengers in a prehistoric shark feeding frenzy crossed with an all-you-can-eat buffet. Modern sixgill sharks live off the remains of whales and other animals. These fossil find suggest this dietary behaviour has been conserved for tens of millions of years. Philip Mullaly and Dr. Erich Fitzgerald looking for fossils on the Jan Juc foreshore. Putting all the teeth together to tell a story is a tricky task that requires looking at the evidence closely. The palaeontologists noticed that around half of the teeth are still-growing unerupted teeth, which means they had not yet moved forward into the front of the jaw. The unerupted teeth are distinguished by their thin enamel ‘shell’ characteristic, like the outside of an M&M. 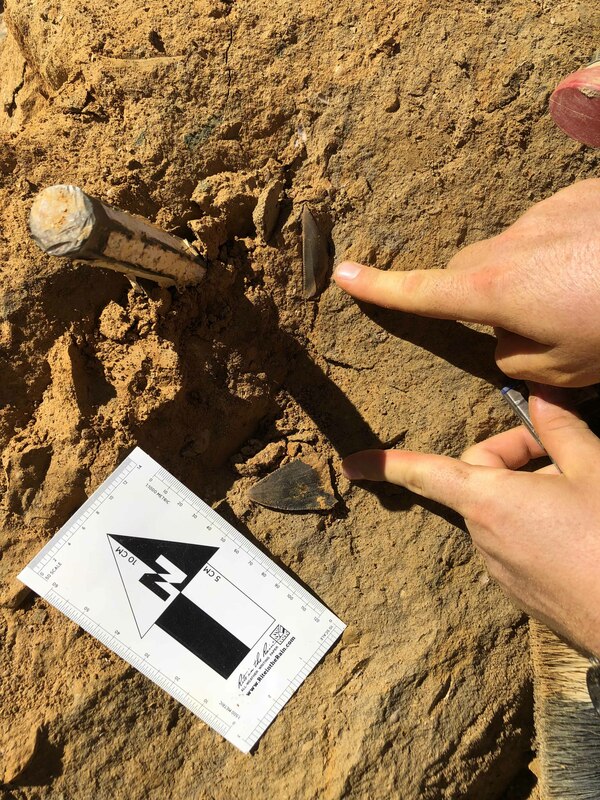 “Finding unerupted teeth alongside erupted teeth was a strong indication that a single carcass had lain on the seabed in that place,” explains Ziegler. Another determining factor to build the single shark story was that the fossils were widely scattered, rather than accumulated by natural processes such as erosion and reburial on the seafloor. “We noticed that they were all preserved in a single horizontal layer or bedding plane, which aligned with the sedimentary layers of the cliff. This is further evidence that these teeth lay on the seabed together before slowly being covered in silt, sand and mud,” said Ziegler. By contrast, there were no unerupted sixgill shark teeth found, and they were more varied in size than the narrow-tooth shark, suggesting several different sixgills may have fed together on the carcass. 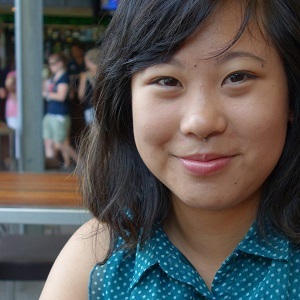 For anyone who’s ever been an aspiring palaeonotologist digging for fossils, you’ll want to hit up Jan Juc. 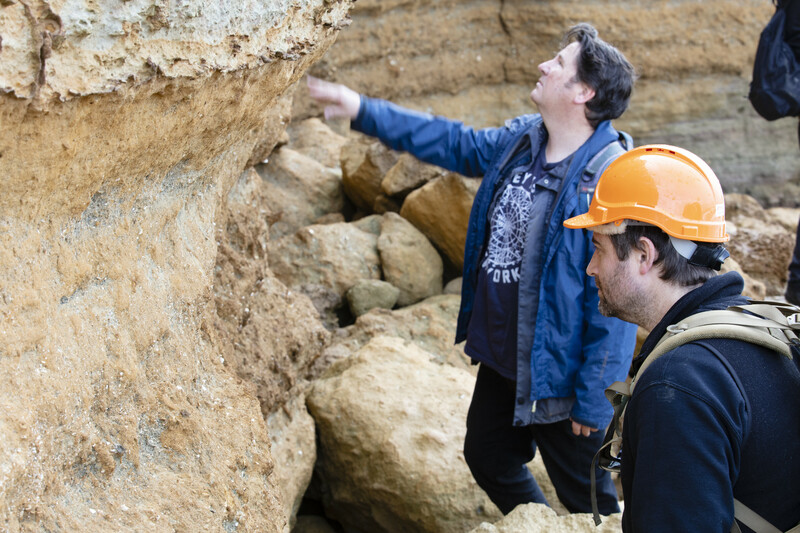 As Philip explains, “finding fossils anywhere is a matter of luck. Along the coast, it also involves good timing, reading the tides, and being there, knowing where to look. You may have never heard of Philip, but you may have seen his discoveries at Museum Victoria. He’s made numerous fossil donations over the years, including parts of ancient whale skulls, whale ear bones, rare whale teeth, and a “gorgeous humerus” from an unidentified cetacean. It’s this same passionate that Philip takes to share with his students from Hendy Street Northern Bay College in Corio, Victoria, inspiring the next generation. The Mega Shark Fossil Find is now open to public at Melbourne Museum. The teeth will be on display until 7 October 2018.